Second-generation biofuels, also known as advanced biofuels, primarily includes cellulosic ethanol. The feedstock resource base for the production of second-generation biofuel are non-edible lignocellulosic biomass resources (such as leaves, stem and husk) which do not compete with food resources. The resource base for second-generation biofuels production is broadly divided into three categories – agricultural residues, forestry wastes and energy crops. Agricultural (or crop) residues encompasses all agricultural wastes such as straw, stem, stalk, leaves, husk, shell, peel, pulp, stubble, etc. which come from cereals (rice, wheat, maize or corn, sorghum, barley, millet), cotton, groundnut, jute, legumes (tomato, bean, soy) coffee, cacao, tea, fruits (banana, mango, coco, cashew) and palm oil. Rice produces both straw and rice husks at the processing plant which can be conveniently and easily converted into energy. Significant quantities of biomass remain in the fields in the form of cob when maize is harvested which can be converted into energy. Sugarcane harvesting leads to harvest residues in the fields while processing produces fibrous bagasse, both of which are good sources of energy. Harvesting and processing of coconuts produces quantities of shell and fibre that can be utilised while peanuts leave shells. All these lignocellulosic materials can be converted into biofuels by a wide range of technologies. Forest harvesting is a major source of biomass energy. Harvesting in forests may occur as thinning in young stands, or cutting in older stands for timber or pulp that also yields tops and branches usable for production of cellulosic ethanol. Biomass harvesting operations usually remove only 25 to 50 percent of the volume, leaving the residues available as biomass for energy. Stands damaged by insects, disease or fire are additional sources of biomass. Forest residues normally have low density and fuel values that keep transport costs high, and so it is economical to reduce the biomass density in the forest itself. Energy crops are non-food crops which provide an additional potential source of feedstock for the production of second-generation biofuels. Corn and soybeans are considered as the first-generation energy crops as these crops can be also used as the food crops. Second-generation energy crops are grouped into grassy (herbaceous or forage) and woody (tree) energy crops. Grassy energy crops or perennial forage crops mainly include switchgrass and miscanthus. Switchgrass is the most commonly used feedstock because it requires relatively low water and nutrients, and has positive environmental impact and adaptability to low-quality land. Miscanthus is a grass mainly found in Asia and is a popular feedstock for second-generation biofuel production in Europe. Woody energy crops mainly consists of fast-growing tree species like poplar, willow, and eucalyptus. The most important attributes of these class species are the low level of input required when compared with annual crops. In short, dedicated energy crops as feedstock are less demanding in terms of input, helpful in reducing soil erosion and useful in improving soil properties. Rice husk is the most prolific agricultural residue in rice producing countries around the world. 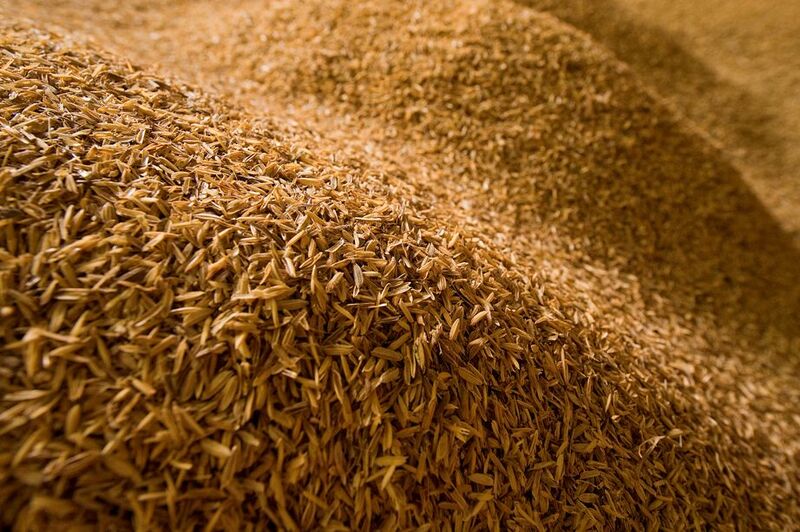 It is one of the major by-products from the rice milling process and constitutes about 20% of paddy by weight. Rice husk, which consists mainly of lingo-cellulose and silica, is not utilized to any significant extent and has great potential as an energy source. Rice husk can be used for power generation through either the steam or gasification route. For small scale power generation, the gasification route has attracted more attention as a small steam power plant is very inefficient and is very difficult to maintain due to the presence of a boiler. In addition for rice mills with diesel engines, the gas produced from rice husk can be used in the existing engine in a dual fuel operation. The benefits of using rice husk technology are numerous. Primarily, it provides electricity and serves as a way to dispose of agricultural waste. In addition, steam, a byproduct of power generation, can be used for paddy drying applications, thereby increasing local incomes and reducing the need to import fossil fuels. Rice husk ash, the byproduct of rice husk power plants, can be used in the cement and steel industries further decreasing the need to import these materials. Rice straw can either be used alone or mixed with other biomass materials in direct combustion. In this technology, combustion boilers are used in combination with steam turbines to produce electricity and heat. 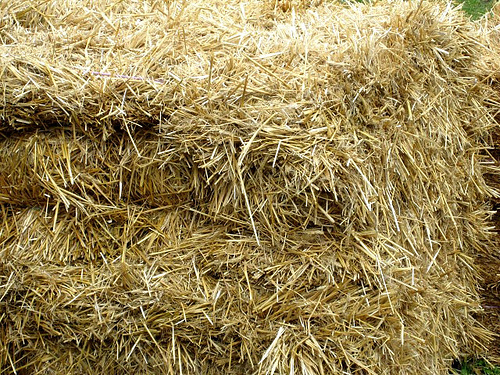 The energy content of rice straw is around 14 MJ per kg at 10 percent moisture content. The by-products are fly ash and bottom ash, which have an economic value and could be used in cement and/or brick manufacturing, construction of roads and embankments, etc. Straw fuels have proved to be extremely difficult to burn in most combustion furnaces, especially those designed for power generation. 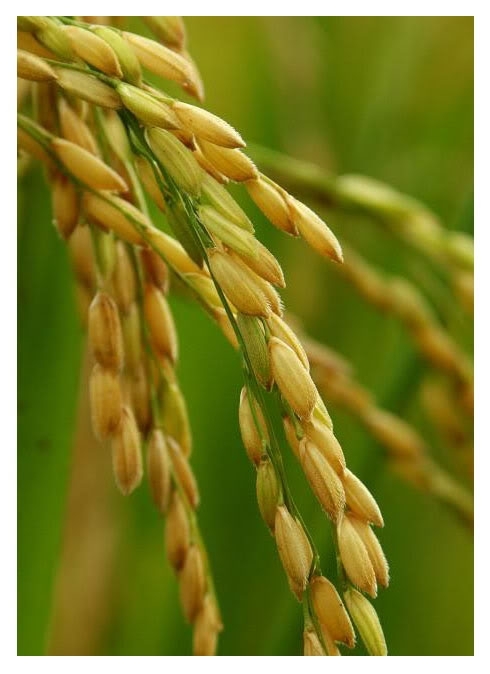 The primary issue concerning the use of rice straw and other herbaceous biomass for power generation is fouling, slagging, and corrosion of the boiler due to alkaline and chlorine components in the ash. Europe, and in particular, Denmark, currently has the greatest experience with straw fired power and CHP plants. Being an agricultural economy, biomass energy potential in Pakistan is highly promising. Pakistan is experiencing a severe energy crisis these days which is resulting in adverse long term economic and social problems. The electricity and gas shortages have directly impacted the common man, industry and commercial activities. The high cost of energy mix is the main underlying reason behind the power crisis. The main fuel for the local power industry is natural gas however due to the continued depletion of this source and demands elsewhere the power generation companies are now dependent on furnace oil which is relatively expensive. The way out of this crisis is to look for fuel sources which are cheap and abundantly available within the country. This description and requirement is fulfilled by biomass resources which have been largely ignored in the past and are also available in sufficient quantities to tackle the energy crisis prevailing in the country. 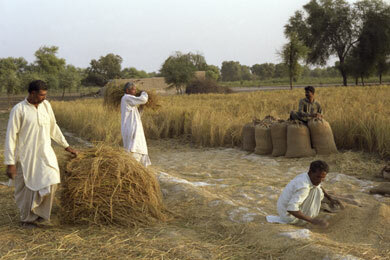 Wheat straw, rice husk, rice straw, cane trash, bagasse, cotton sticks are some of the major crop residues in Pakistan. Sugar cane is a major crop in the country and grown on a wide scale throughout Pakistan. During 2010-2011, the area under sugarcane cultivation was 1,029,000 hectares which is 4% of the total cropped area. Sugarcane trash which constitutes 10% of the sugar cane is currently burned in the fields. During the year 2010-11, around 63,920,000 metric tons of sugarcane was grown in Pakistan which resulted in trash generation of around 5,752,800 metric tons. As per conservation estimates, the bioenergy potential of cane trash is around 9,475 GWh per year. Cotton is another major cash crop in Pakistan and is the main source of raw material to the local textile industry. Cotton is grown on around 11% of the total cropped area in the country. The major residue from cotton crop is cotton sticks which is he material left after cotton picking and constitute as much as 3 times of the cotton produced. Majority of the cotton sticks are used as domestic fuel in rural areas so only one-fourth of the total may be considered as biomass energy resource. The production of cotton sticks during 2010-2011 was approximately 1,474,693 metric tons which is equivalent to power generation potential of around 3,071 GWh. Cotton sticks constitute as much as 3 times of the cotton produced. The generation or solid wastes in 9 major urban centers is around 7.12 million tons per annum which is increasing by 2.5% per year due to rapid increase in population and high rate of industrialization. The average calorific value of MSW in Pakistan is 6.89 MJ/kg which implies power generation potential of around 13,900 GWh per annum. The Philippines has abundant supplies of biomass energy resources in the form of agricultural crop residues, forest residues, animal wastes, agro-industrial wastes, municipal solid wastes and aquatic biomass. The most common agricultural wastes are rice hull, bagasse, cane trash, coconut shell/husk and coconut coir. The use of crop residues as biofuels is increasing in the Philippines as fossil fuel prices continue to rise. Rice hull is perhaps the most important, underdeveloped biomass resource that could be fully utilized in a sustainable manner. At present, biomass technologies utilized in the country vary from the use of bagasse as boiler fuel for cogeneration, rice/coconut husks dryers for crop drying, biomass gasifiers for mechanical and electrical applications, fuelwood and agricultural wastes for oven, kiln, furnace and cook-stoves for cooking and heating purposes. Biomass technologies represent the largest installations in the Philippines in comparison with the other renewable energy, energy efficiency and greenhouse gas abatement technologies. Biomass energy plays a vital role in the nation’s energy supply. Nearly 30 percent of the energy for the 80 million people living in the Philippines comes from biomass, mainly used for household cooking by the rural poor. Biomass energy application accounts for around 15 percent of the primary energy use in the Philippines. The resources available in the Philippines can generate biomass projects with a potential capacity of more than 200 MW. Almost 73 percent of this biomass use is traced to the cooking needs of the residential sector while industrial and commercial applications accounts for the rest. 92 percent of the biomass industrial use is traced to boiler fuel applications for power and steam generation followed by commercial applications like drying, ceramic processing and metal production. Commercial baking and cooking applications account for 1.3 percent of its use. The EC-ASEAN COGEN Programme estimated that the volume of residues from rice, coconut, palm oil, sugar and wood industries is 16 million tons per year. Bagasse, coconut husks and shell can account for at least 12 percent of total national energy supply. The World Bank-Energy Sector Management Assistance Program estimated that residues from sugar, rice and coconut could produce 90 MW, 40 MW, and 20 MW, respectively. The development of crop trash recovery systems, improvement of agro-forestry systems, introduction of latest energy conversion technologies and development of biomass supply chain can play a major role in biomass energy development in the Philippines. 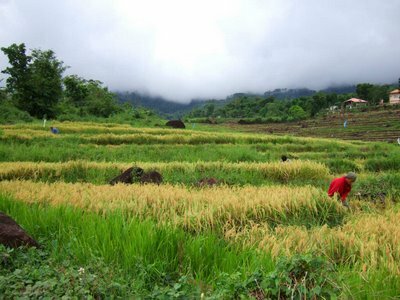 The Philippines is among the most vulnerable nations to climatic instability and experiences some of the largest crop losses due to unexpected climatic events. The country has strong self-interest in the advancement of clean energy technologies, and has the potential to become a role model for other developing nations on account of its broad portfolio of biomass energy resources and its potential to assist in rural development. The term agricultural residue is used to describe all the organic materials which are produced as by-products from harvesting and processing of agricultural crops. These residues can be further categorized into primary residues and secondary residues. Agricultural residues, which are generated in the field at the time of harvest, are defined as primary or field based residues whereas those co-produced during processing are called secondary or processing based residues. Secondary residues – paddy husk, bagasse, maize cob, coconut shell, coconut husk, coir dust, saw dust, palm oil shell, fiber and empty bunches, wastewater, black liquor. 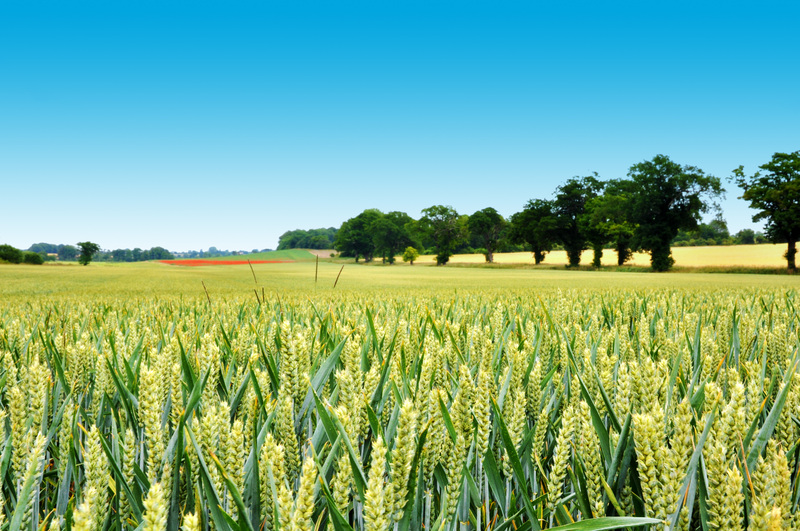 Agricultural residues are highly important sources of biomass fuels for both the domestic and industrial sectors. Availability of primary residues for energy application is usually low since collection is difficult and they have other uses as fertilizer, animal feed etc. However secondary residues are usually available in relatively large quantities at the processing site and may be used as captive energy source for the same processing plant involving minimal transportation and handling cost. Rice produces both straw and rice husks at the processing plant which can be conveniently and easily converted into energy. Significant quantities of biomass remain in the fields in the form of cob when maize is harvested which can be converted into energy. Sugar cane harvesting leads to harvest residues in the fields while processing produces fibrous bagasse, both of which are good sources of energy. Harvesting and processing of coconuts produces quantities of shell and fibre that can be utilised while peanuts leave shells. All these materials can be converted into useful energy by a wide range of technologies..